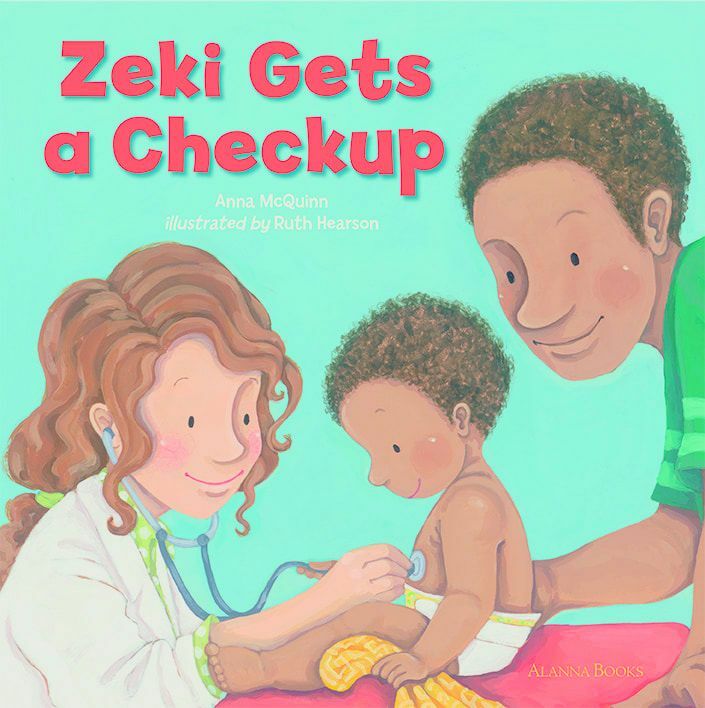 Zeki is a big boy now - so he's off for a checkup to show just what he can do! Zeki loves swim class - he and Daddy swish and swoosh, splish and splash! I run groups for babies and their parents once a week in a west-London library. I see how much both children and parents enjoy it. Learning songs and rhymes is essential for babies' development and making new friends is an important part of the session. Zeki Loves Baby Club is a celebration of this very important moment in many young children's lives and I know they will love seeing pictures of other babies like themselves. We made some videos of some of the parents and babies from my group singing the songs and doing the actions. Parents and babies reading the book can stop at any page and sing along with videos. There's also some audio-only tracks you can sing along with. Lulu REALLY wants a cat. Mummy says it's a big responsibility, so Lulu works hard to research how best to car for cats and to show Mummy just how responsible she can be. Once Mummy is convinced, they begin the journey to adopt a cat. 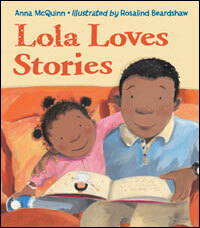 Mum reads one of the stories to Lulu at bedtime. Multi-language CD: The paperback comes with a free CD with the story told in more than 20 languages! Lulu Reads to Zeki Lulu’s new baby brother, Zeki cries a lot. But his book-loving sister has the solution: when he’s upset, she reads him a funny story; when he needs a new nappy, she reads him her favourite potty book and when he cries in the bath, she reads him her best duck book. Fortunately, Zeki also sleeps a lot too and that gives Lulu plenty time for her own reading. 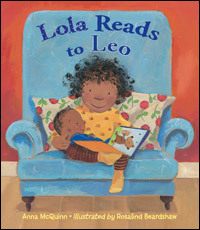 Published in the USA by Charlesbridge Inc. The idea for If You're Happy and You Know It! came out of one of the things I do during my rhyme time sessions in Acton library. I’ve asked the parents to write the words for ‘hello’ or ‘again’ in their first language and we have these stuck up on the wall near where we sing. Before we begin, we choose one language and then, when we sing “If you’re happy and you know it” we sing the ‘hello’ word in a different language as the last verse. Everyone loves it and one word is just right for little ones to attempt easily. The idea for Wanda's Washing Machine came about as I watched some young children struggle with some badly-designed inset puzzles. I felt they needed to work with very familiar objects so they could concentrate on the fine motor skills. The first two in a series set on current-day farms around the village in Glenmore Valley. It's lambing time on the farm and Colm is a great help. Visitors, Molly and Daisy have never seen a new-born lamb, so they're very excited. But then they see one shivering in the corner - where's it's mother? Can it be saved? Lisa has a big challenge for this year's village show - she's presenting Maeve, their new Belgian Blue calf. It's tough going because Maeve has a mind of her own - has Lisa any chance of winning a rosette for Maeve? Sylvie can’t sleep and her exasperated mother advises her to count sheep. She closes her eyes and The Sleep Sheep arrive - but how can Sylvie count them when they’re all running about, dancing, rollerblading and swimming... Sylvie runs after them and follows as they lurch from one frantic activity to another until finally they fall asleep - how exasperating! My Friend Jamal was inspired by the many friendships I see developing amongst the children that I work with. Growing up together, they have so much in common. Their families often come from different places all over the world, and while we need to respect each others differences, I feel that it’s equally important to emphasise and celebrate what we have in common. More. My Friend Amy helped me enlarge the discussion around immigration. This time, the friend is second generation, so her experiences are different from Jamal. Amy’s family came to make a better life rather than fleeing war - something which impacts on how they live in their chosen country. Read together, I hope the books challenge the idea of an ‘immigrant’ as just one type of person. It’s been over 20 years since I left Ireland and the country has gone through so many changes since then. 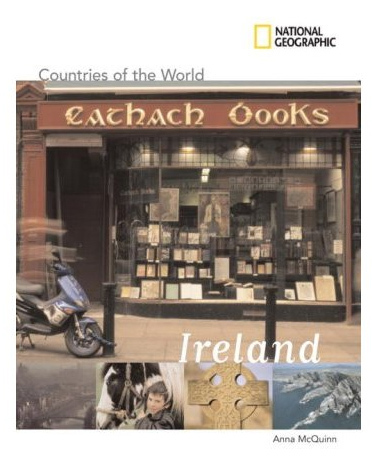 As a result I wrote Countries of the World - Ireland as both insider and outsider which was interesting. I enjoyed the opportunity to re-examine all my old notes (I majored in History at University College Cork) and it was fascinating to track the development leading to the emergence of the ‘Celtic Tiger’ - something I witnessed from afar.